Flowers and chocolates might be the norm for Mothers Day, but Lush have a great collection for Mothers Day that is not to be missed. Flowering Tea Reusable Bubble Bar - If fragrant, petal-filled baths are your cup of tea, look no further! 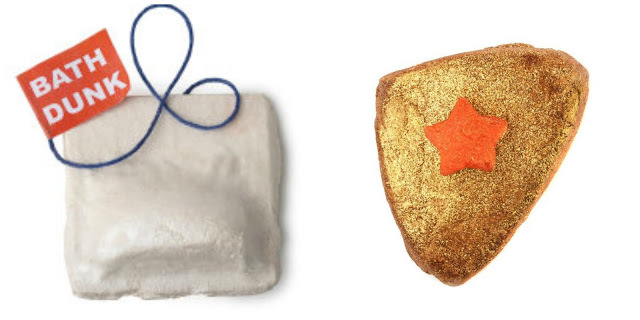 Hold this reusable bubble bar under running water to release the beneficial blend. Clamber in to stew in a hot, floral brew with uplifting neroli and rosewood oils and allow your mind to drift. Turn your bath into a giant tea cup as you float amongst the exotic blue cornflowers, sunny orange flower absolute and rich rosewood, helping you tap into that inner calm. Wonder Woohoo - A special golden treat for the super mums out there. Using mimosa absolute, soothing sandalwood oil and Brazilian orange oil it looks amazing and smells amazing. Rose Bombshell Bath Bomb - Love is blind, which is a shame because this bombshell with a floral triplet of yellow rose petals, rose absolute and rose oil is an enthralling spectacle. As it fizzes, the outer shell breaks away and magnificent petals burst out in a sweet haze of Sicilian lemon and floral geranium oils. Yummy Mummy Shower cream packed full of Fair Trade organic cocoa butter and tonka absolute alongside gloriously sweet blend of Brazilian orange and geranium oils. Designed to hydrate the skin and leave you feeling uplifted and smelling divine. Ladybird Bubble bar - This friendly little ladybird wants to take you under its wing and run you a hot floral bath, filled with sweet geranium oil to aid relaxation. A little peppermint oil gives a menthol hint to this flowery mix, helping to revive and uplift mind and body as you soak. Go all out for mountains of cheery bubbles or save a little for next time. Ladybird - This is quite possibly my favourite gift set from the collection with three cute products - Lady Bird and Sunflower Bubble Bar's and Honey Bee Bath Bomb. A lovely little nature theme and all for just £15.50. I think Lush have more than got it covered with this selection of gifts and even if a gift set is not for you, there is a plethora of little items you can buy to make your own package or treat yourself or if you really want to treat someone, then a trip to the Lush Spa would be amazing - I will make it there one day myself! The Rose Bombshell is my favourite thing about easter, I picked one up for my self as well as my mum because it was just too good to resist! I love Lush and my last post was a small Lush haul - so many nice things I want though so saving up to revisit!! Wow. I love Lush and these are amazing suggestions :-) I have never tried the bubble bar...may need to buy myself a mothers day present while Im getting my moms! I need to do a lush shop I love the look of the sets and the tea bag bubble bar looks cute. gotta love lush! they always have really great products, I haven't gotten anything from them in ages! I will have to put it on the wishlist! There are some lovely treats there, especially love the ladybird. I really love Lush products, the only one I've tried from the ones you've featured is the Wonder Woohoo and it was lovely. 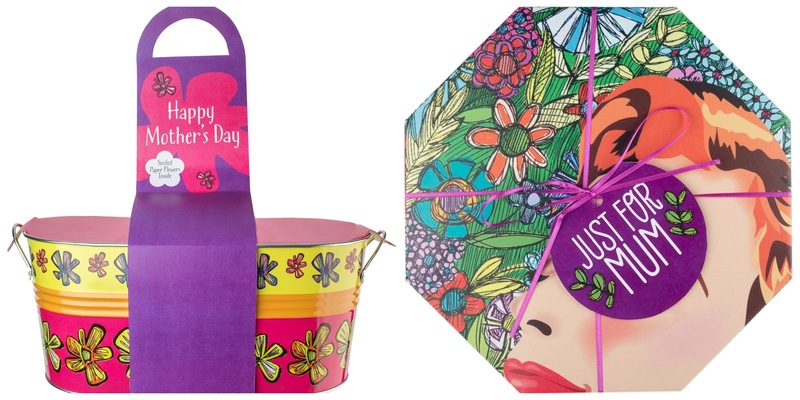 What mum wouldn't love the Pamper Hamper or Love You Mum? I know I would for sure. Such a fab brand! There are some lovely products around, I wouldn't mind receiving any of these! I would have loved one of these for mother's day! I absolutely love Lush! Brilliant selection of goodies, perfect for mothers day! :) Thanks for sharing! x Amy. I adore Lush and to be honest I would just buy these for myself lol. I have a shrine of Lush products at home! I really like lush colours! I am wondering if my mum would like it? I definitely need to get her one! great post! great ideas!